PATEK PHILIPPE REF. 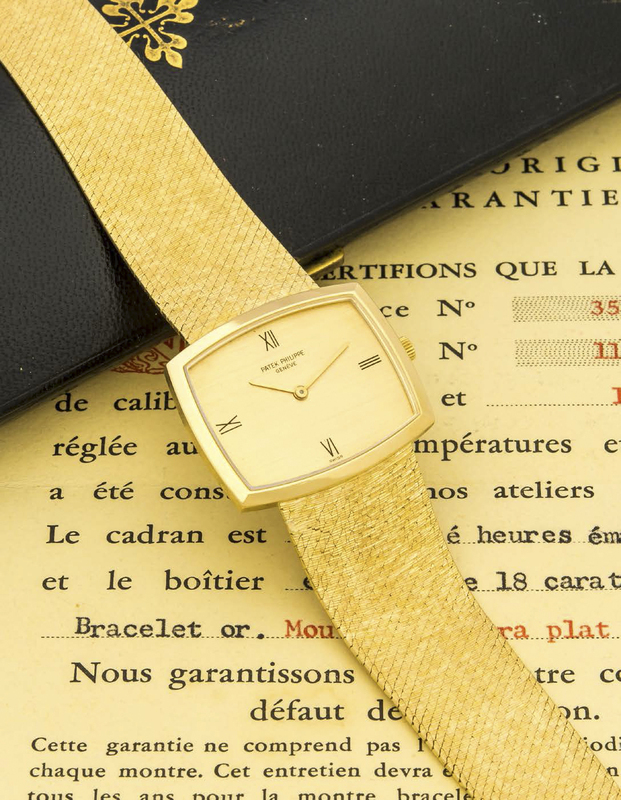 3528 YELLOW GOLD A fine and rare manual-winding 18K yellow gold wristwatch. Bracelet 18K yellow gold Patek Philippe integrated bracelet, 180 mm. Dimensions 31.5 x 26 mm. Accessories Original fitted box and certificate of origin.